Young June has built a magical amusement park in her mind that is run by a group of animals (June’s soft toys) and features gravity-defying rides June has devised on paper and built small versions of with the help of her mother. However, when her mum gets sick and has to go away for treatment, June discards Wonderland, burning the park’s blueprints in her grief. Escaping a school trip to go home to her dad, June ends up in the forest and discovers a real-life, broken down Wonderland in the woods, just like the one from her imagination. Except this one has her favourite characters – bear Boomer, boar Greta, beaver brothers Gus and Cooper and porcupine Steve – hiding out as the park has been attacked by chimpanzombies, a swarming mass of toys who have captured magical monkey, Peanut, who created all of the unusual rides. This animated adventure gets as lost as June deciding just who it is aimed at. 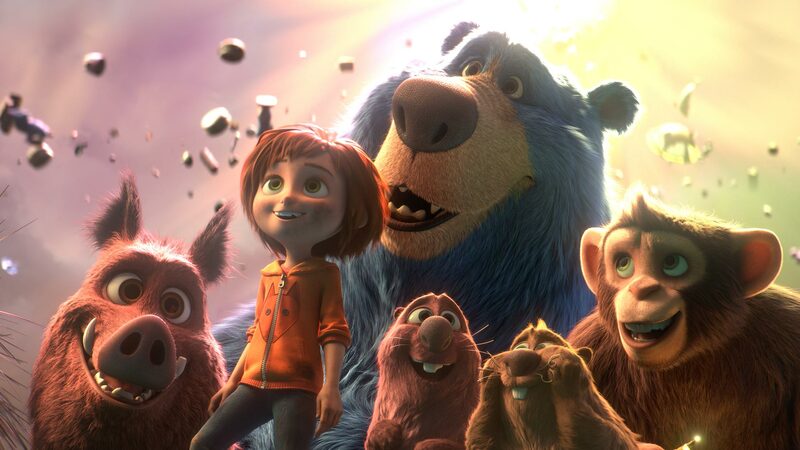 Part of the film tries to deal with grief and the potential loss of a parent in a sensitive but rather dark way that is too grown-up for very young viewers, while the section set in the park is a brightly-coloured whirlwind clearly aimed at little ones’ short attention spans (adults and older kids will just feel like they have been repeatedly bashed over the head with a rainbow-coloured baseball bat). Seemingly trying to be Inside Out meets Wreck-It Ralph, this doesn’t have the charm of either, nor any likeable characters for kids to enjoy. Peanut is, quite frankly, a bit creepy, the chimpanzombies are horrid and even Boomer the bear is grating rather than cuddly. It’s energetic but forgettable, one for a rainy Sunday in front of the TV rather than a family outing to the cinema. Very young children may be scared by the chimpanzombies that have taken over the park. They may also not like Peanut, and be scared when June goes to rescue him. 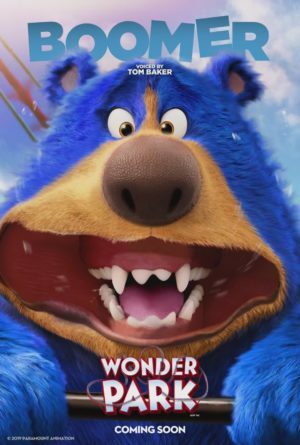 Wonder Park trailer and cast revealed!